Google has made quite a few announcements, including two Pixel phones, more details about Google Home, and much more. In case you missed the livestream or you want to rewatch it, here you go. After numerous leaks, Google finally announced the Pixel and Pixel XL. The specs of the two phones are very similar apart from the screen size, the battery size and the pricing. The Pixel and Pixel XL will be the first Android phones with Android 7.1 Nougat. The standard Pixel has a 5-inch AMOLED display with a resolution of 1920×1080 while the Pixel XL has a 5.5-inch AMOLED display with a resolution of 2560×1440. Inside, you’ll find a Qualcomm Snapdragon 821 processor with 4GB of RAM. On the back, you’ll find a fingerprint sensor. The rear-facing camera is 12-megapixels while the front-facing camera is 8-megapixels. The Pixel has a 2,770 mAh battery while the Pixel XL has a 3,450 mAh battery. You also find Fast charging, you get up to 7 hours of additional battery life in just 15 minutes. There’s a fingerprint sensor on the back and there’s a USB Type-C port. For storage, there’s either 32GB or 128GB of internal storage. 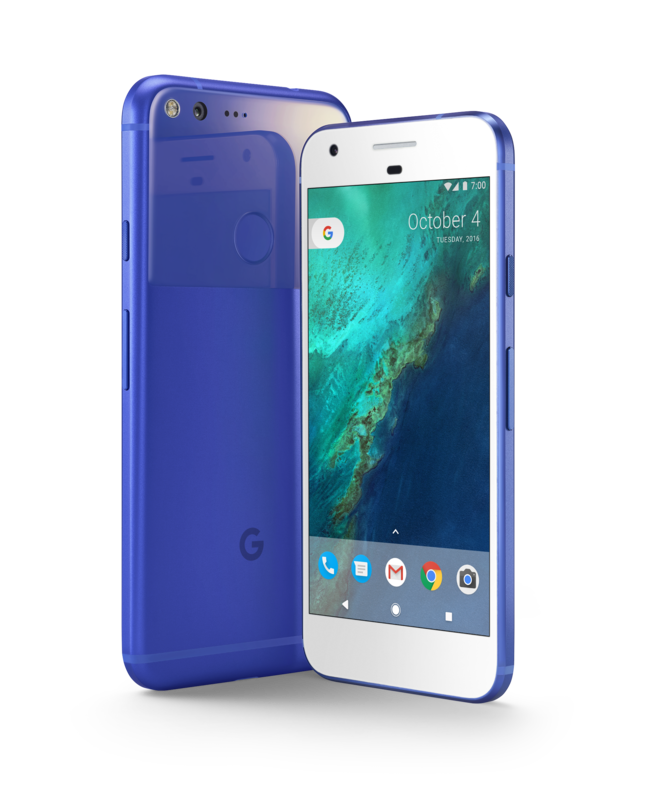 Both Pixel phones come in three colours, Quite Black, Very Silver and Really Blue (which Google says the Really Blue is limited). Google will also be including unlimited storage of your photos and video at full resolution on Google Photos when you buy a Pixel phone. Google Allo and Duo will be pre-installed on the Pixel phones. The Pixel phones also come with a Support tab in the settings, so you can easily chat or call with a Google support expert 24/7. And switching to the Pixel phones is even easier, with the Quick Switch Adapter that will be included in the box, so you can switch from another OS to Android. 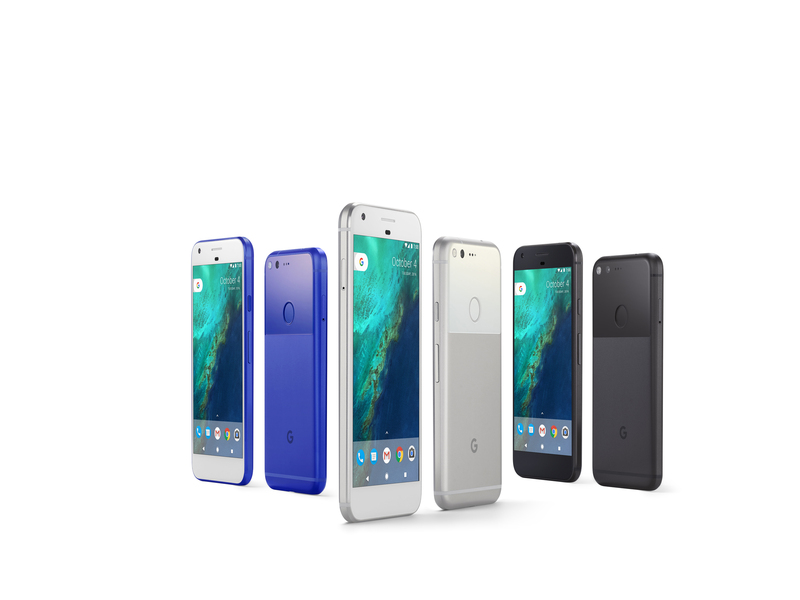 The standard Pixel will retail for $899 CAD for the 32GB model and the 128GB Pixel will retail for $1029 CAD. 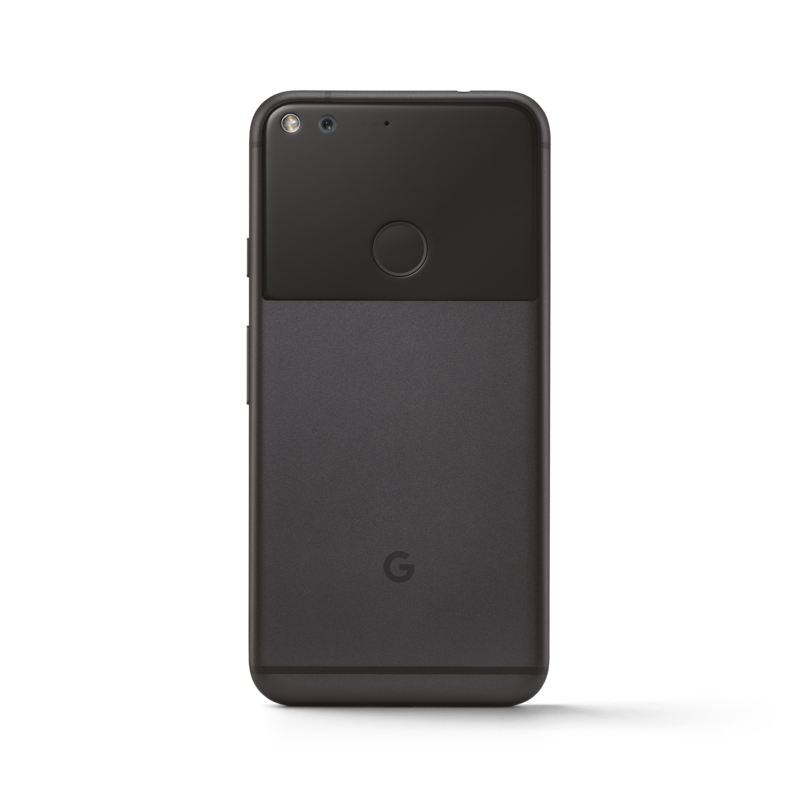 While the Pixel XL will cost at $1049 CAD for the 32GB model while the 128GB Pixel XL will cost $1179 CAD. Pre-orders for the Pixel phones start today on the Google Store in the US, Canada, UK, Germany and Australia and ship on October 20th and pre-orders being on October 13th in India. 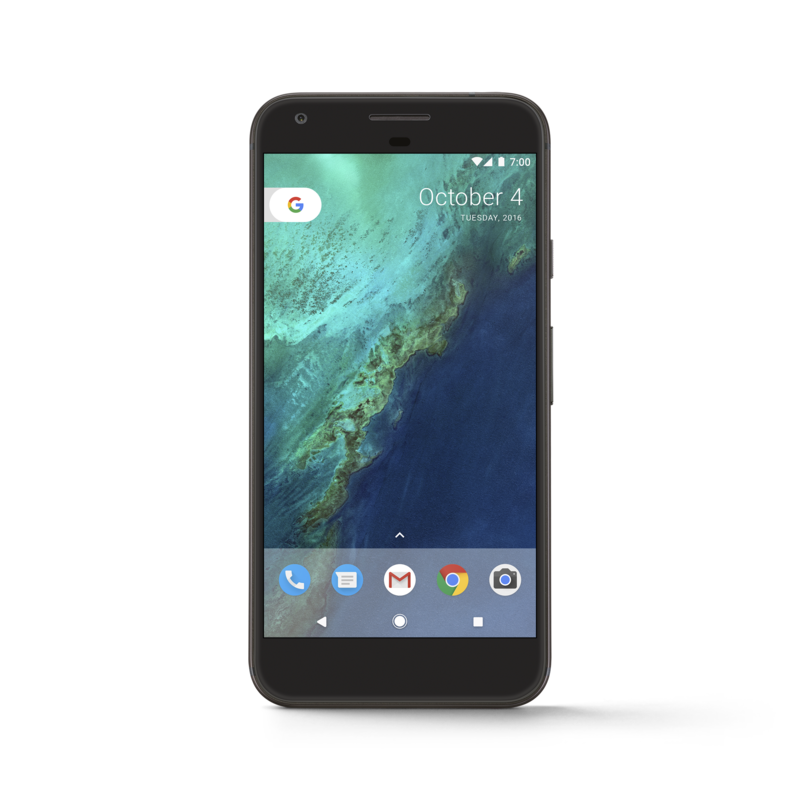 You can pre-order the Pixel and Pixel XL here. Google has also announced their own Daydream VR headset, aptly named the Daydream View. Google said they worked with clothing designers to create a headset that was “soft, cozy and comfortable to wear.” Your phone will wirelessly pair with the headset and the headset will help auto-align to make sure your phone fits correctly. A controller is included in with the Daydream View and it also fits inside the headset when not in use. The headset will come in three colours, Slate, Snow and Crimson and it will retail for $99 CAD ($79 USD) in November. You can join the waiting list here. 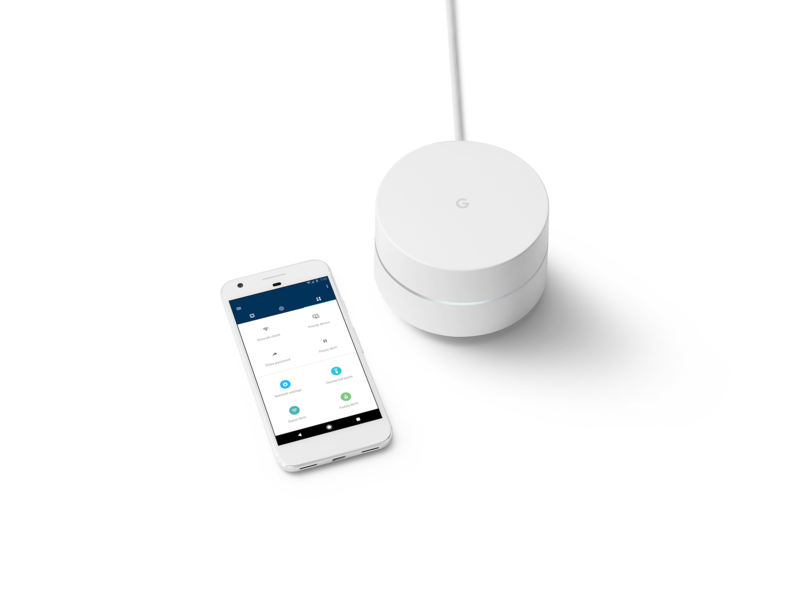 Google has introduced Google Wi-Fi which is a modular Wi-Fi router that allows you to add access points around your house, to make your Wi-Fi range wider. There is also an app that can allow you to control your family’s Wi-Fi usage. 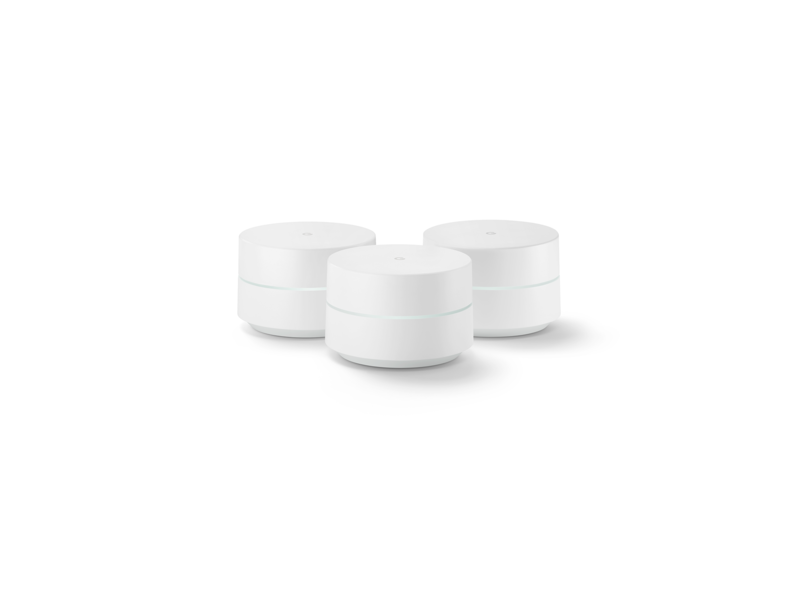 The Google Wi-Fi single pack will cost $129 USD or $299 USD for a 3-pack. Pre-orders will start in November and ship in December. 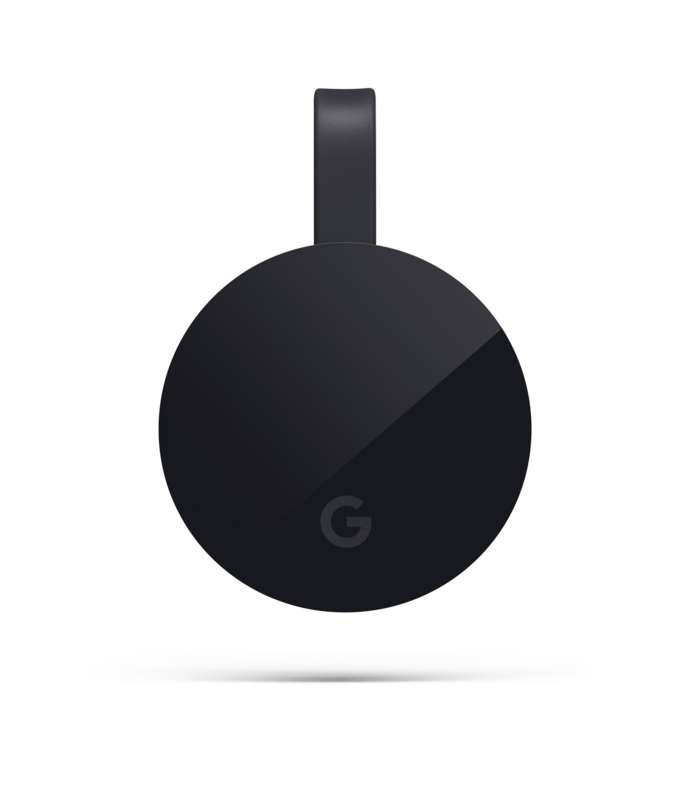 Google also announced a 4K-ready Chromecast and is 1.8x faster and supports HDR and Dolby Vision. There is also ethernet support via the AC adapter and it will ship in November for $90 CAD ($69 USD) along with 4K coming to Google Play Movies & TV. 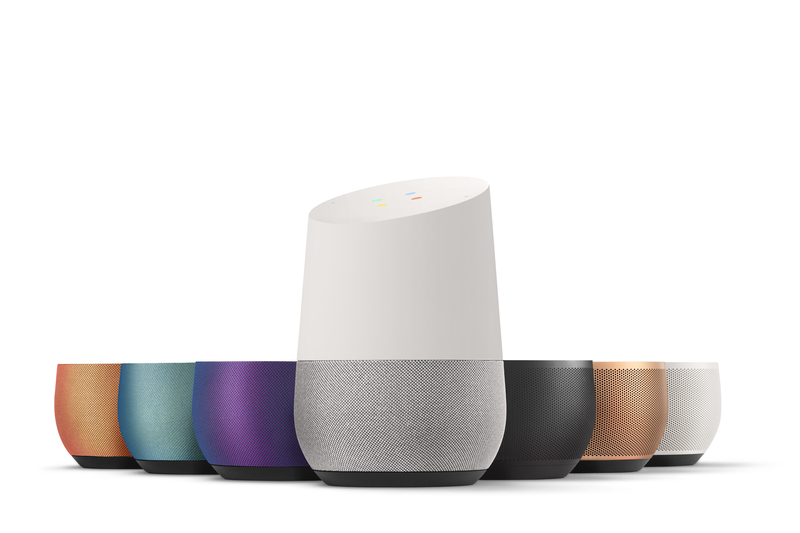 Google Home was announced back at Google Home but now we have a bit more information and some availability details. 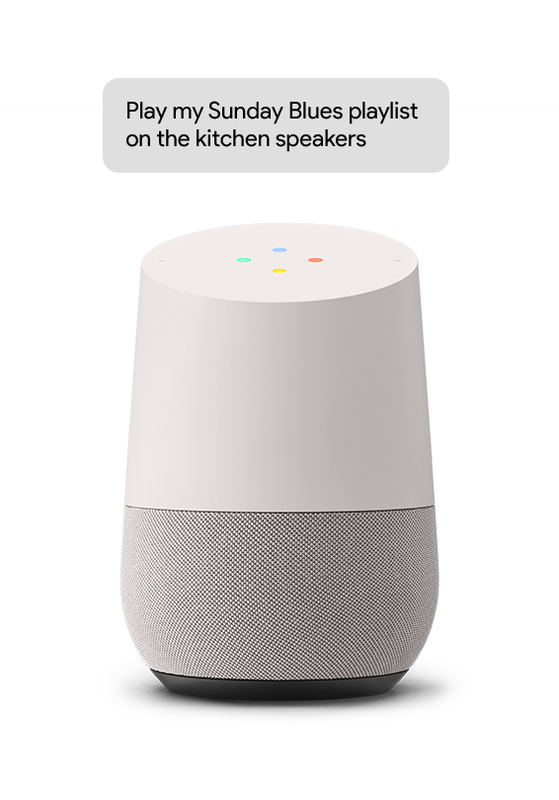 The Google Assistant is built-in to Google Home and can connect to all sorts of services and apps and connect to other smart home devices. 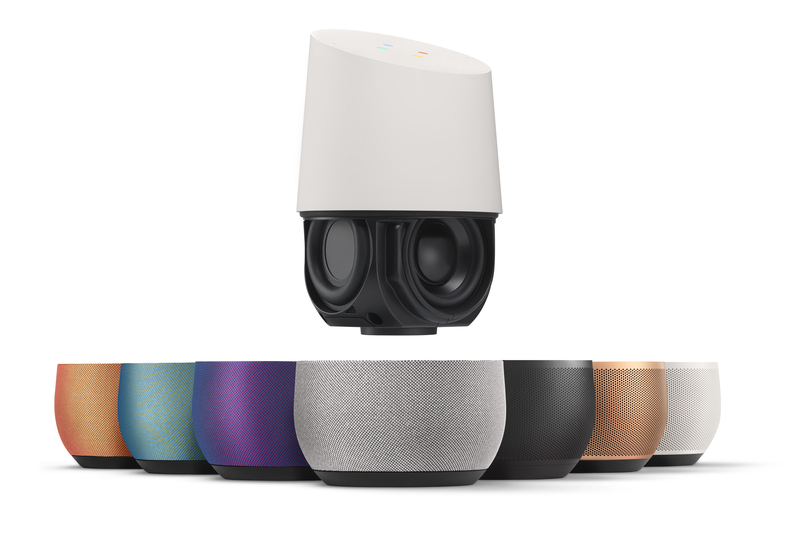 Google Home also has swappable bases, so it can match the look of your room accordingly. Google Home will retail for $129 USD and pre-orders start today and start shipping on November 4th (at least in the US). Google also announced that they’ll be bringing their Live Cases to Canada for the Pixel phones. The Live Cases are cases that you can customize with your own photos, a specific place on Google Maps or some artwork from top artists, illustrators and photographers. On the back is a programmable shortcut button, so when pressed, it can open up your favourite app or other phone functions. It will retail for $50 CAD and be available later this year and will be available for the Pixel and Pixel XL but is now available for the Nexus 5X and Nexus 6P. You can make yours here.